Our gardenia, 'Miami Supreme', is finally forming buds after another leafless winter. 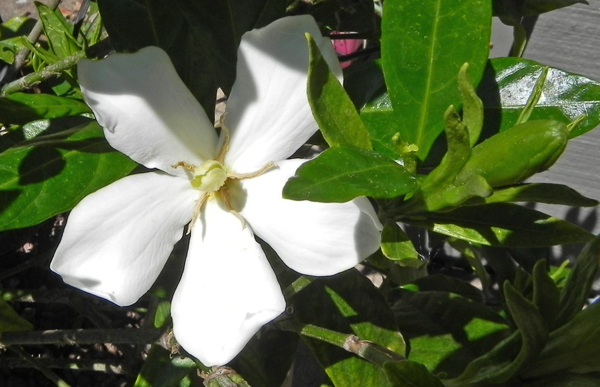 A cultivar of Gardenia jasminoides, this plant has been with us for at least 20 years. A general overview about this tropical plant can be found at University of Hawaii Cooperative Extension Service site. About five years ago, I purchased a single-flowered variety whose cultivar name wasn't given, and it seems so far to stay smaller in a pot, blooming at just under three feet tall. 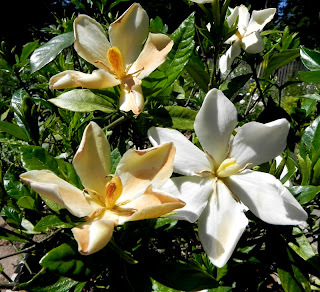 The single variety blooms earlier than 'Miami Supreme', and although not as fragrant, even after a day or so, the older flowers still look pretty, fading to a pale yellow. If you'd like to try a gardenia in a pot, now is the time to buy them. Check to see if it needs to be repotted, but if not, grow it until it becomes potbound before upgrading to a pot that is about 2-3 inches larger in diameter than the pot it came in. Use a really well-drained potting mix and add a timed-release fertilizer created for pot use. You'll also want to stock up on water-soluble acid fertilizer of the type used for Rhododendrons, using it at half-strength every other time you water. 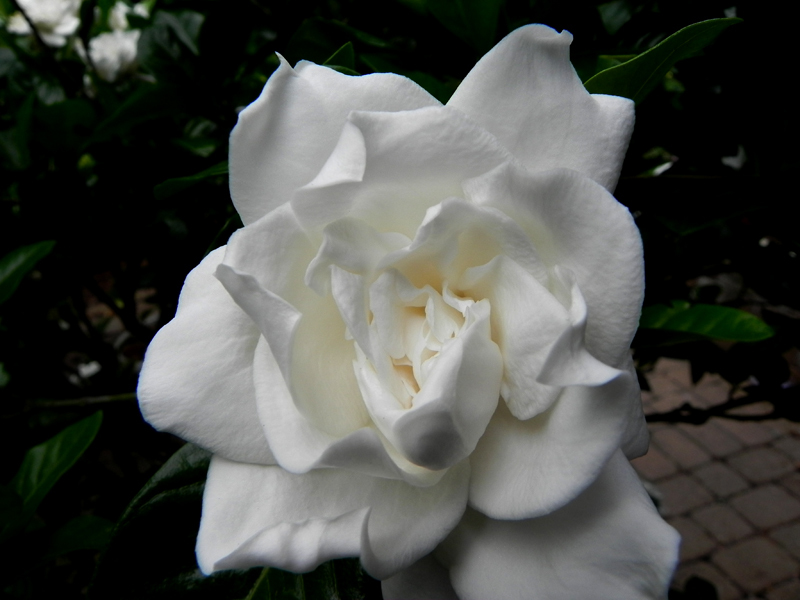 Gardenia 'Miami Supreme' came home with us when we drove down to Florida to visit the in-laws some time in the early 1990s. We also purchased two Hibiscus, two bougainvillea, a natal plum and an Oleander. Along with the gardenia, we have the bougainvilleas, both of which refuse to bloom, but that's another story. I'd like to try one of the newer varieties of bougainvillea that bloom at a smaller size and more prolifically than ours (which admittedly isn't saying much).